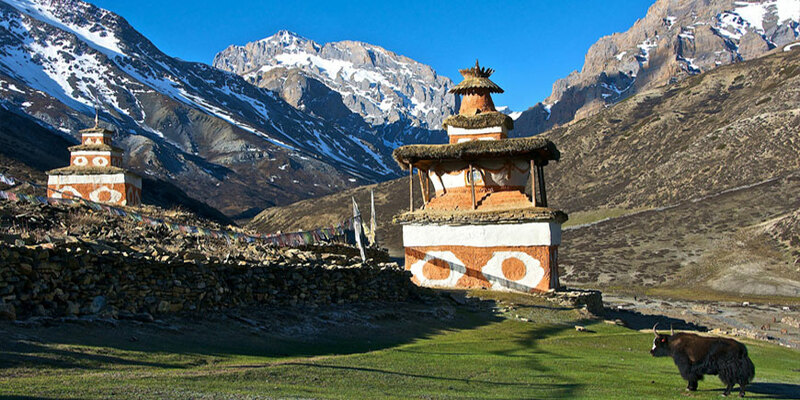 Dolpa is a high-altitude culturally Tibetan region in the upper part of the Dolpa District of western Nepal, bordered in the north by the Tibet Autonomous Region of China.Part of the region lies in Shey Phoksundo National Park. 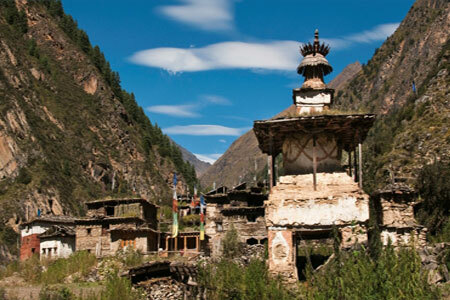 The sparse, agro-pastoral population, known as Dolpa in standard Tibetan and Dhol-wa in the local dialect, is connected to the rest of Nepal via Jufal airport, which can be reached in three days by horse. There are no precise population numbers for the region, with estimates including less than 5,000 and 18,000.The Dolpa are generally adherents of Bön, a religion whose origins predate Buddhism but whose modern form is officially accepted as the fifth school of Tibetan Buddhism. 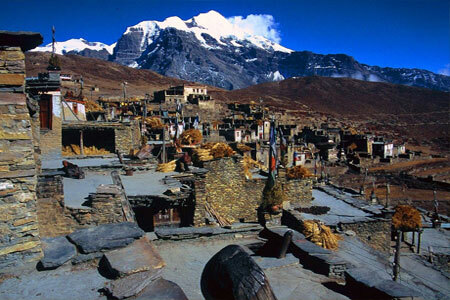 The remote region has preserved its Tibetan culture in relatively pure form, making it attractive to Westerners. 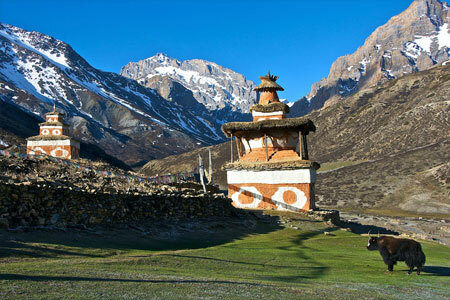 Dolpa was the location for the 1999 Oscar-nominated film Himalaya, and more recently for the German documentary Dolpo Tulku.In spite of the near inaccessibility of the region and tourism restrictions for the more remote parts, Dolpa is a popular destination for trekking tourism.Dolpo to Jomsom trekking is more beautiful lands cap, many over 5000 m pass, water fall, forest, mountain and upper dolpo cultures. We can see many groups of blue sheep, eagle, and bird. It is home land of snow Leopard. But couldn’t see more for more often. 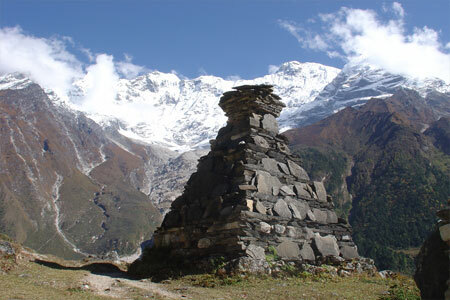 Day 02: Free for Kathmandu Valley & peppering upper dolpo permit. Day 03: flight from Kathmandu to Nepalganj overnight in Hotel. Day 04: Flight from Nepalgunj to Juphal and trek to Dunai (2100m) 3:30 Hrs. Day 05 : Dunai to Chekpa (2,710m) 7 hrs. Day 06: Chekpa to Renje (3,010m) 5 hrs. Day 07: Renje to Shey Phoskundo Lake (3,600m) 4 hrs. Day 09: Phoskundo Lake to Yak kharka (4,570m) 6 hrs. Day 10: Yak Kharka to Kang la Base Camp (4800m) 7 hrs. Day 11: Over Kang La pass (5,240m) Shey Gompa (4,280m) 7 to 8 hrs. Day 12: Rest at shey Gompa. 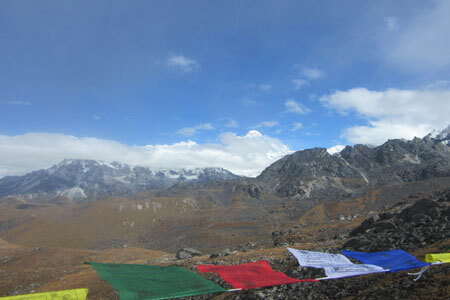 Day 13: Shey Gompa to Saldang Pass (5,010m)-Namgumpa (4,380m) 6 hrs. Day 14: Namgumpa to Saldang Village (3,890m) 4 hrs. Day 15: Saldang to yangjir gompa by horseback saldang (4,270m) 7 hrs. Day 16: Saldang to Komagaun (4,060m) 5 hrs. Day 17: Komagaun to Pu Gompa (3,950m) 6 to 7 hrs. Day 18: Pu Goma to Dovan (4,150m) 6 to 7 hrs 6 to 7 hrs. Day 19: Dovan to Yak kharka (Charka Base Camp) (4,550m) 7 hrs. 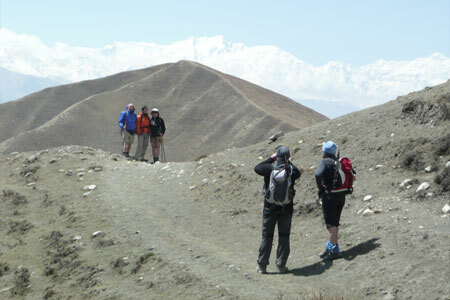 Day 20: Yak Kharka to Chark Pass (5036m) -Charka Village (4,365m) 7 hrs. Day 21: Charkabot to Yak Kharka (4,780m) 7 hrs. 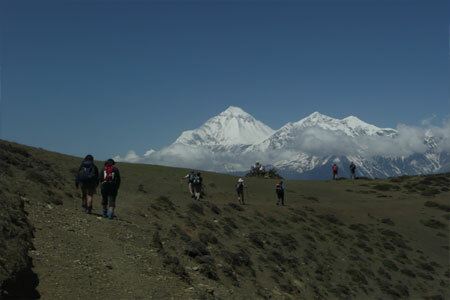 Day 22: Yak Kharka to Niwar Pass (5490m) Niwar Phedi (4,300m) 8 hrs. Day 23: Niwar Phedi to Santa (3,909m) 5 hrs. Day 24: Santa to Phalyak village (2,900m) 7 hrs. Day 25: Phalyak to Jomsom (2,710m) 3 hrs. 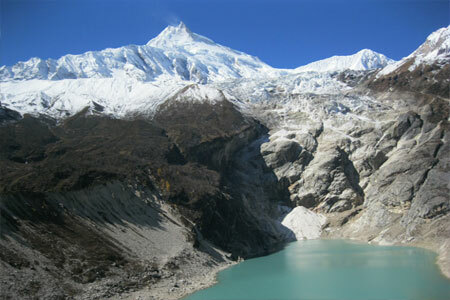 Day 26: Fly Jomsom to Pokhara over Night in Hotel. Day 27: Flight to Kathmandu over Night in Hotel. Day 29: Transfer to International Airport and fly home. * Insurance for trekking staff and Equipments.